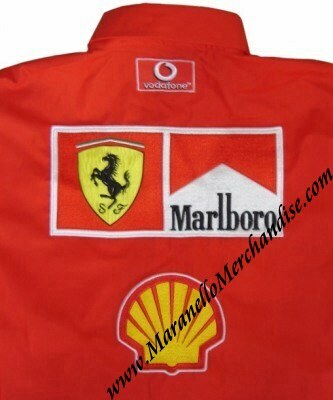 >Original & Authentic Scuderia Ferrari Marlboro Shirt Long Sleeve - 2003. 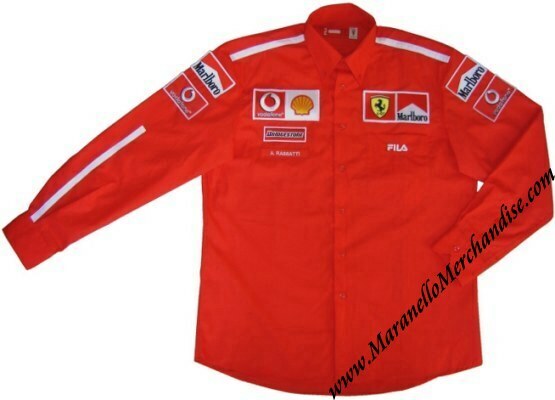 This is an orginal shirt from one of the members of the 2003 Ferrari F1 team. These shirts are NOT available to the general public and are a team issue ONLY. These shirts RARELY come to the market and can be considered to be VERY scarce so this is a truly great opportunity to acquire one. Available in size M (equivalent to USA size M, Italian size 50, German size 50, French size M and Canadian size M/M). New & unused, tags still attached.